We all want to be ahead of the curve, get that unique one of a kind idea before the masses do. So to find opportunity, what we’re constantly looking for are innovative ways to do things better or faster. Often, the solution is usually right in front of us, waiting. That opportunity, once you blink or yawn however, turn around and suddenly it’s gone, you’ve missed your chance. That attempt to seize the exact moment to potential growth and creativity, is recognizing the opportunity and the vision, and then grasping it. Opportunity is similar to you waking up at the crack of dawn to watch another spectacular sunrise. The majority will miss these moments because they’re distracted elsewhere, or not looking in the right direction. What most will see is just the reflection of the horizon in the distance. They’ll just see what they choose to see, which is the bright glare of the sun blinding them. By then, the opportunity has passed them, as the sun is now brightly shining. This scenario is similar to what most entrepreneurs looking for the next big thing will do. They’ll often look in the wrong direction at the wrong time, or look beyond the obvious. What everyone wants is to be ahead of the arc, to capitalize on the next big thing, as they’re wanting to innovate a new market segment, this when searching for a new breakthrough in their industry. Realistically, the anticipation to capture these discoveries or major developments, requires intense concentrated levels of expertise, along with advanced research data and statistical metrics. Information that entrepreneurs usually don’t have access to. This is when it becomes important to think introverted, find what works and then expand out from there. Any new innovation doesn’t need to be groundbreaking radical in order to be effective or meaningful. So instead, find a minor tweak that no one has thought of before, this by creating extensions to current solutions. Take something which already exists, and then make it a little different or better. Apply to be more effective, efficient, or lower the cost. Use simple technology to refine an old service into something that’s more modern. The key being that the idea doesn’t need to be revolutionary, but just better, more functional, more affordable, easier to use, or faster. 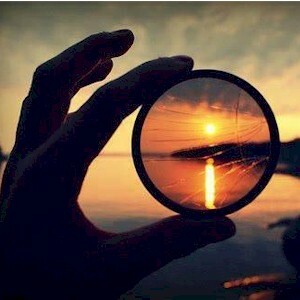 It just comes down to looking at things differently. Almost everything that needs to be invented or thought of, most likely has. This is the reality of the world we live in. So the key becomes to make existing things more efficient, to fine tune the process. Examine all of the key interactions when it comes to your clients, and then see where all the critical roadblocks, hesitations, or congestion goes unfulfilled. For instance, we all remember the door to door Life Insurance Salesman, determined to cold call on every household, just to tell the home owner that they will eventually die, and that they should protect their family. These insurance companies at that time had no better way, this other than to annoyingly go direct to customer, and then using strong arm tactics to convince them they needed something they really didn’t want. Then the industry refined the process, this by strategically coming up with new and improved services, such as lead generation from their website, this to collect names, phone numbers, and emails of those who were interested in insurance. Observing how certain services are untimely, are excellent ways of finding innovate initiatives which offers high potential. One example is the series of changes and improvements that the travel industry has made. Not long ago, there were flight delays which were caused by mechanical or technical failures in airplanes, or the weather didn’t cooperate, delaying everything into a nightmare. Today, there are a variety of time saving apps which can accurately track all flight delays, while also allowing the traveler to reschedule alternate times or different airlines, easily managing these travel crises. Locally, there are now efficient apps for parking services for your car, or to effortlessly manage hotel and restaurant reservations, which has almost eliminated wait times. What these simple tweaks of innovation didn’t need was a massive amount of capital as the infrastructure was already in place, as all they’re doing is taking advantage of opportunities, and then using existing technology to fill a void. Identify systems which are just too complicated or too busy, or they rely far too much on bureaucratic procedures or human error, and find a way to make them easier. Getting rid of complexity has always been the motivation behind innovation. For instance, take the once massive process of University admissions and the registration process. Not long ago, getting accepted into post secondary was an ambiguous and stressful process. Now everything’s refined. All you need to input is your educational particulars online, and then you’ll instantly receive a list of the institutions which best matches your profile. Because of these easy online application services, all you need is to submit one application for a variety of schools nationwide. What’s significant about this development is the once tortuous procedure is now easy. Pay attention, keep your eyes open, look around, look for all the little things that others don’t see. If you see the obvious “big” holes to innovate, others will most likely see them as well. So look for the small cracks, the subtle patterns, the tiny minor inefficiencies and tweak them. The best opportunities are something that you use every day, and then plugging the deficiencies.